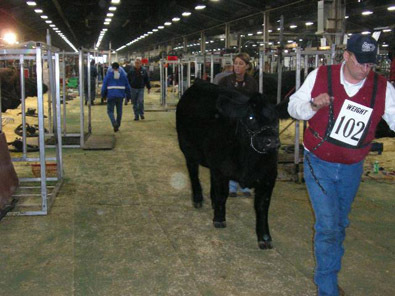 More than 22,000 animals and 200,000 people were expected at this year's North American International Livestock Expo (NAILE) in Louisville, Ky. 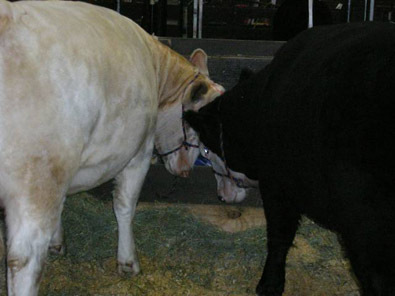 These two heifers get a little rowdy in the stall at NAILE. Claire Dorsey, 18 months, of Moro, Ill. is ready to work on her family's Simmental heifers at NAILE. 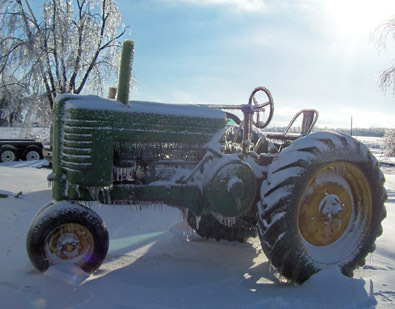 This antique John Deere tractor was frozen in place after a winter storm roared through Illinois last week. Glistening layers of ice coated bare limbs and fencerows throughout central Illinois last week following a severe winter storm. 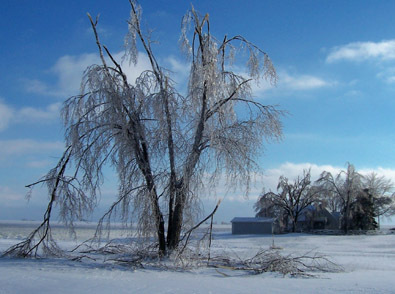 Severe winter weather, including a snow and ice storm, caused damage to many rural central Illinois residences last week. 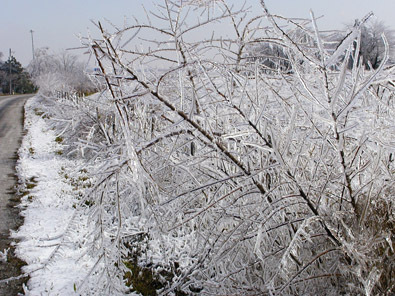 Ice covered limbs caused problems for many central and southern Illinois residents last week. 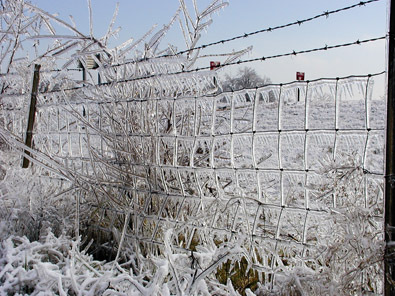 A severe snow and ice storm hit parts of central and southern Illinois last week. Many trees and fencerows were covered in ice like this one near Lebanon, Ill. Newly harvested corn gets loaded into a truck in western Indiana last week. 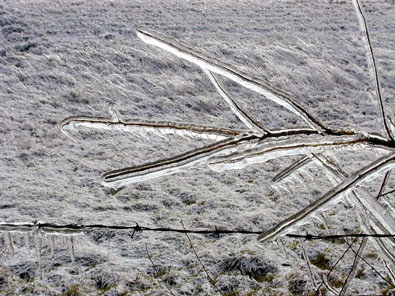 An Indiana farmer combines a field last week. Corn waits to be harvested in an Indiana field last week. Behind a barbed wire fence, a central Kentucky farmer works in the field. Bales of hay sit just beyond a field of corn in central Kentucky last week. Ernie Weaver, a volunteer at the Circleville Pumpkin Show, writes the weight on this 433-pound pumpkin. A small crane was used to hoist pumpkins onto a scale and then onto a flatbed truck for display at the 100th annual Circleville, Ohio Pumpkin Festival. Thousands of pumpkins and gourds were on display during the four-day Circleville Pumpkin Show. Joe Speakman, Vic Riffle and Paul Woods were three of a dozen growers and engineers who worked for 14 months in creating a 14-foot pie pan, oven and pie for the 100th Circleville Pumpkin Show. Visitors to Gorman Farm in Hamilton County, Ohio retreat from the four-acre field of sunflowers with their small harvests. Gorman Farm in Evendale, Ohio allows visitors to get away from city life and witness how life was on a farm in the early 1900s. 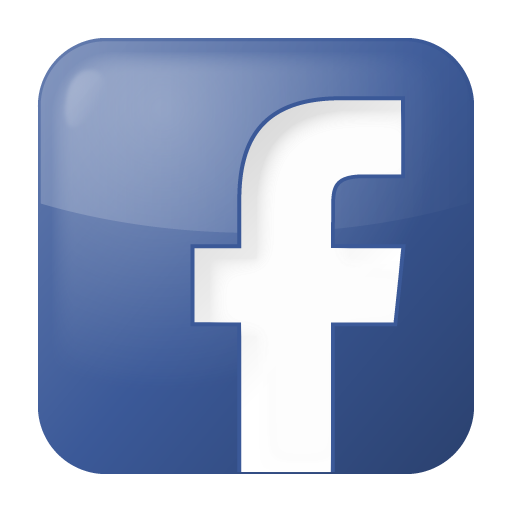 Sunflowers lured visitors to the 170-year-old Gorman Farm in Hamilton County, Ohio last week. Stephanie Kaufman and her daughter, Grace, both of Cincinnati, Ohio, inspect a sunflower stem before taking the elaborate flower home with them. An old corn crip is reused as a display for school groups and other visitors to Hackman's Farm Market and Greenhouse near Columbus, Ind. Hackman's Farm Market and Greenhouse near Columbus, Ind. has enjoyed a bumper crop of pumpkins this year. A display of gourds are just a part of the products offered at Hackman's Farm Market near Columbus, Ind.